!! 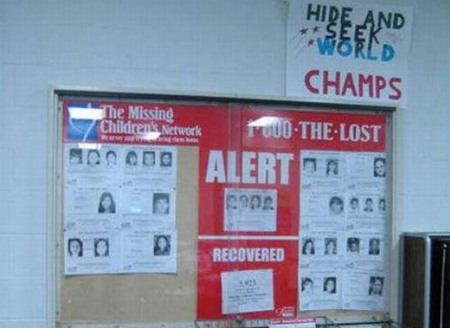 OMG, hide and seek world champs !! 4 Comments on "OMG, hide and seek world champs"
omg i couldnt help but laugh, dayum watch karma come around and slap me in the face. It’s called irony. I find it funny as well. Graydon, let’s meet in hell for a drink! It’s called irony. I find it funny as well. James, let’s meet in hell for a drink! Thats really cruel, these people are missed by loved ones, sorry but i dont find it funny at all laughing at other peoples misery… just my two cents.